What is it about some people that just grab our hearts and don't let go? There are just some people and some stories that have that way about them. For me, and for many others, Kycie's story is one of those. I'm not sure why exactly. But I think it's because when I look at her, I see my own daughter. The bright, blue eyes. The infectious smile and giggle. The curly blond hair. The innocence. And because it's not just Kycie's story. It's our story, too. And probably yours. I think that's why I've put off writing this. Because in order for me to write this, I have to go there. I have to really go to that place where I know that our stories are really not so different. And that but for a whisper, I could be the parent grieving the loss of my little girl to Type One Diabetes. Kycie Terry passed away on Saturday, July 11, 2015. Hers was a life that ended much too soon. Taken from this world by complications brought on by undiagnosed T1D. You can read the first post I wrote about Kycie here. And you can follow her story and see darling photos and video of this beautiful little girl here. We have been living with this disease for over six years. In that time, we have gotten further and further from those panicked first few days and months. The shock has worn off. The fear has subsided. Diabetes has slowly seeped into all aspects of our life and become just another part of what we do. Her diagnosis no longer feels like it was yesterday. It feels like it was a lifetime ago. The days before are foggy and faded. I can no longer remember a life that didn't include counting carbs and changing sites and needles and blood and millions of test strips. Until last Sunday when I read that sweet Kycie had passed away. And my stomach dropped to my toes. Tears filled my eyes. And I was immediately transported back to that April day six years ago when our lives changed forever. I knew. I knew what it was that morning when we walked to the pediatrician's office. I didn't want to know - but I did. He thought it was flu. After all, her symptoms could have easily been the flu. And we had just been there weeks earlier for her three year old well check. We would have gone home. And she would have gotten sicker. She was throwing up. She was losing weight. She was drinking and going to the bathroom a ton. She was so lethargic that she could hardly walk or stay awake. Her breathing was labored. She didn't have another week to wait and see. She didn't have a couple of days. You know what would have happened. And although on most days it sits at the back of my memories, hidden behind the passing of time and pressing events of now, it's always there. That knowledge that drops like a rock to the pit of my stomach. That knowledge that we could have easily lost her that day. That knowledge that we were so very close to a different outcome to our story and yet, at the time, we had no idea. It's humbling. It's sobering. And it's infuriating. How did I know? How did I know to tell the pediatrician that I was afraid she had diabetes? I don't know. I just did. Somehow I knew the symptoms. And it saved her life. Please understand, I'm not angry at her pediatrician. He did nothing wrong. In fact, he listened to me. She presented like she had the flu. But he listened to what I had to say. He listened to my concerns. He didn't say to wait and see. He didn't say I was over reacting. He listened. And it saved her life. No, I'm not angry at him. I'm angry that any child dies from undiagnosed type one diabetes. There is no reason for it. There is no excuse for it. All it takes is one drop. One drop. To save a life. Today was not the best diabetes day. But as I was driving Avery and a friend to the pool, listening to their giggles and chatter about braces and water slides and who they had seen from their class over the summer, I felt so thankful. I don't know why Avery's diabetes was caught in time and Kycie's wasn't. I don't know why we got her to the doctor in time. Or why I knew the symptoms. Or why I expressed it to the doctor who listened to me. All I know is that I am grateful. The kind of grateful that makes you fall to your knees and sob. And the kind of grateful that says enough is enough. No more children should die from this disease. No more. It's as easy as testing one single drop. I don't know why Avery survived and Kycie did not. But I do know that I owe it to that sweet little girl and her incredible parents and family to take that gratitude and turn it into action. Let's share the symptoms. Share our stories. Check out Test One Drop. Read their mission and see how you can get involved. Do it for my child. Do it for yours. Do it for Kycie. But most importantly, do it for the names we don't know. The kids who have yet to be diagnosed. Let's change their stories before they even start. Eloquently written. So many of us have questioned the "what ifs" this past week. Thinking back to when my children were small. One had strep throat (like Kycie's brothers) and I called the pediatrician requesting an antibiotic be phoned in when a sibling showed similar symptoms. He did. What if? 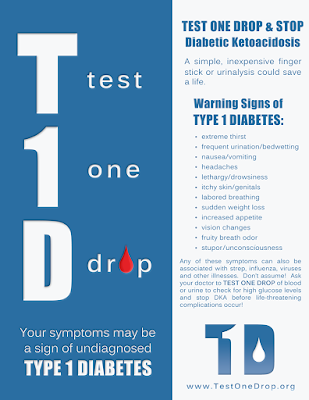 What if it had really been T1D masquerading as strep? Our DX story is different though. I wrestled with our ped for almost nine months trying to get him to test our six year old who had begun to wet the bed and was very thirsty. He blew me off saying, "She'd be REALLY sick if she had that." We were too ignorant to know we could buy/borrow a glucometer and test ourselves. She got much sicker and was DXd. 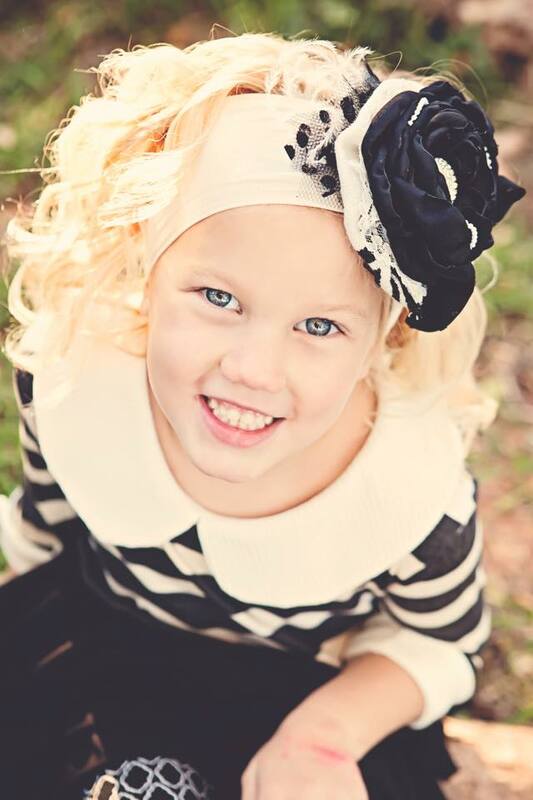 On another note, are you aware that we (the T1D community) lost another child the day after Kycie passed? David Brown II, a very cute 4yo. :-( He was diagnosed with a stomach virus on a Wednesday, had a traumatic brain injury from DKA by Friday, and was gone on Sunday. 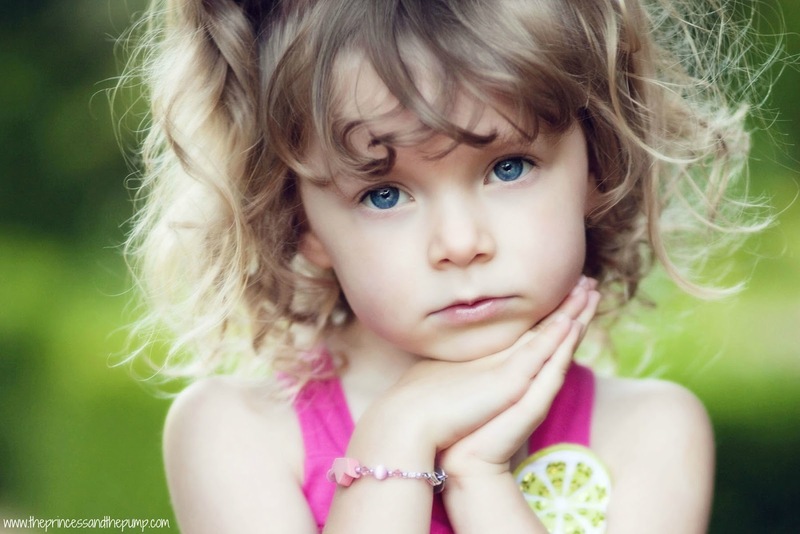 Besides heartbroken, I'm outraged that in 2015 we are still losing children (and adults) to misdiagnoses. It is time to win this battle! To this end, I wanted to thank you for sharing Test One Drop. So many people have visited us in the last week--in part thanks to people like you who are spreading the word. I also want to invite you to join the UP Rising Against DKA--if you have not. It is a FB group we made in early May to unite all the individuals and advocacy groups who are passionate about stopping DKA at T1D onset. Please check it out and invite anyone you know who may be interested. Thanks again for sharing and your time! Hallie, FYI, I shared this at fb.me/testonedrop. Check out the comments.